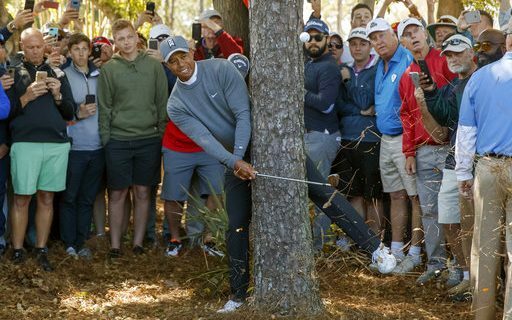 Tiger Woods hacked a pair from out of the trees on Thursday, and followed that up by nearly hacking the entire internet on Friday with his play at the Valspar Championship. There was a moment when he was the solo leader at -5 during the second round, and social media was buzzing. Tiger’s return was much anticipated by the sporting world. Golf fans were already watching the great young players like Justin Thomas, Jordan Spieth, and John Rahm battle slightly older veterans Dustin Johnson, Jason Day, and Justin Rose for wins each week on the PGA Tour. Tiger’s return meant more coverage from sports fans in general, and more media. I witnessed it first hand at the Genesis Open last month in L.A. Riviera CC is a regular, and great stop on the PGA Tour. The event benefited Tiger Woods’ foundation, and it benefited from having Tiger Woods play. His gallery was huge the first two rounds, just like the old days. There was a buzz in the air. You could feel it, just like you could feel it yesterday when the news came across your feed. Energy. There were few expectations for Tiger Woods’ return to the PGA Tour from back fusion surgery. The previous comebacks were derailed rather quickly as the previous procedures didn’t work. This one, so far, is working. Tiger has been using the buzzword Process in his comeback. He cites about patience and getting more rounds under his belt. The need for competition, which is why he’s playing Valspar this week and the Arnold Palmer Invitational next week. He’s getting his game in shape. This is all great for golf. As I mentioned before, the players today are outstanding, and there was no void of young stars. Tiger Woods is a different animal. He is arguably the greatest player of all time, that was derailed by injury and insult, and won’t give up on his pursuit of returning to victory. Phil Mickelson ended his victory drought last weekend south of the border, winning the WGC Mexico Championship in a playoff over Justin Thomas. It was Phil’s first win since the 2014 British Open, and at the age of 47, rare. It was Mickelson’s 43rd PGA Tour victory and the golf world was celebrating with him. 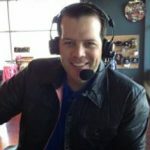 It was great to see in person, as I was announcing for PGA Tour Radio. Mickelson mentioned that he wouldn’t be surprised if Tiger won this week to join the party with Phil. It’s appropriate to point out that Tiger finished the day tied for 2nd, 2 shots back of rookie Corey Conners, and 36 holes remain. That’s a lot of golf to be played, but who cares? It’s fun to think about Tiger winning and what that means a month from now going into Augusta. A win by Tiger and Phil would make this one of the most anticipated Masters in recent memory. Let’s hope it happens along with the two of them being paired together in Augusta.